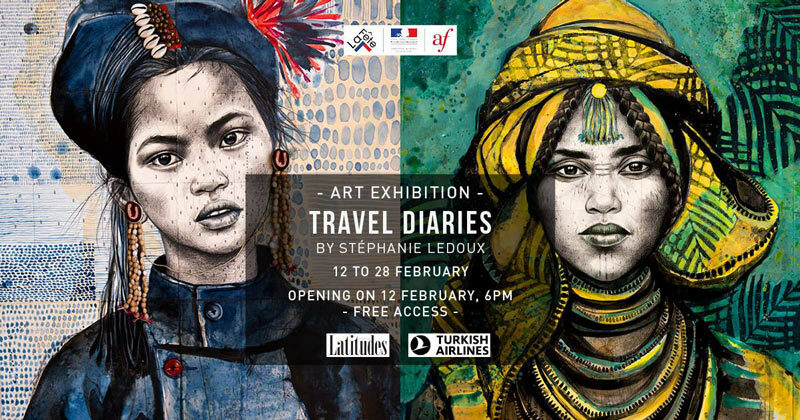 The Alliance Francaise de Bangkok will host, from the 12th of February to the 28th of February 2019, an art exhibition titled Travel Diaries by French globetrotter and artist Stéphanie Ledoux. The exhibition will showcase the artistic creations of the artist, which are a representation of the different cultures she immerses herself into to find the inspiration. The exhibition can be accessed freely and from 6 pm onwards every day.